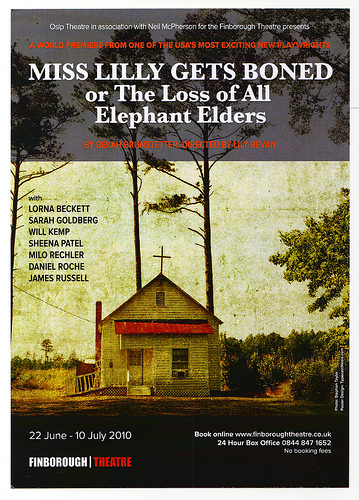 Last week saw “Miss Lilly Gets Boned” have it’s official World Premiere at The Finborough Theatre, in London. So far The Guardian and What’s on stage have given it a respectable 3/5 stars. Commenting on the play being “Excellently acted” & “A lively production” and our Man as being “A Dashing Will Kemp”! Willkemp.org would like to wish (dashing) Will and the entire cast and crew all the very best for a successful run of the show! You are currently browsing the WillKemp.org blog archives for June, 2010.